Car or truck won’t start? Has your vehicle broken down? Then call on Mr K’s Towing, a towing service in Bishop, CA ready to take your vehicle where it needs to go to get serviced. With Mr K’s Towing, you get the quick, reliable service you need so that you’re not sitting around wondering when you’ll be able to fix your car’s problem. You need a towing service like Mr K’s Towing because we have the drivers and the tow trucks available and prepped to tow away your vehicle with as little hassle as possible for you. Don’t just sit there wondering what to do with your stagnant vehicle when Mr K’s Towing is available to take the trouble off your shoulders. Call Mr K’s Towing if you want your vehicle eventually running again. We have tow vehicles for every type of car, light truck and RV, and we now offer 24 hour towing in Mammoth Lakes. 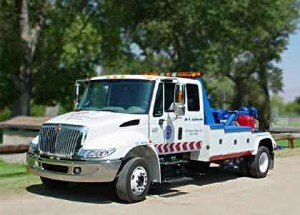 Call us at 760-934-4807 for Mammoth Lakes towing service, and 760-873-7149 for Bishop Area. We’re also a AAA contract station.